If you are looking to unwind at a winter resort this festive season, choose one that offers value for money facilities. When looking for a winter resort, choose a resort that best suits you rather than the best resort. A winter ski resort offers a ski area and all necessary facilities to make it a destination resort. Facilities include accommodation and all other vital requirements; these facilities are located close to the ski area. Decide your budget: If you want an economical winter vacation, you can settle down for a resort that is closer home. If your travel budget is larger, you can choose any winter resort across the world. 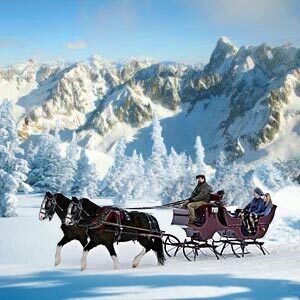 Online search for winter resorts: You can search for various types of accommodations online. Every winter resort has its own web site; you can get a fair idea of what each resort offers for you. If you are particularly interested in ski resorts, you can search for information accordingly. 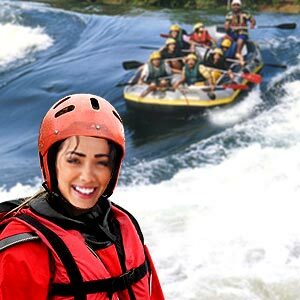 Check for details and activities offered: While settling for a winter resort, check for various details like choice of dining, sports activities, nightlife, etc. You can look for room service or even cooking facilities. Choosing ski resort: If you choose a winter ski resort, check for details such as base snow, existing climatic conditions, any skiing programs, facilities for each level of skier, etc. You will save a lot of money if you book your trip online as you can check on the discounts offered by various resorts and choose the one that suits you the best. Browse various winter resort web sites and compare the discounts offered by each of them. Choose a winter resort that suits your budget. 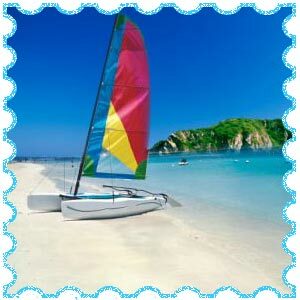 Check Internet sites like orbitz, priceline and Travelocity. They bring out fresh deals every season and can offer excellent possible discounts. Contact the winter resort and check on the various deals they offer. Weekends are crowded and expensive when compared to weekdays during the holiday season; hence avoid planning your holiday for the weekend. Check for mid-week offers, most of the winter resorts offer mid-week discounts that are pretty attractive. Keep yourself updated with the latest deals they offer for each season. Book early - early birds always get the best deals. Try to collect the brochures of the winter resort and understand the pricing structure. Winter resorts may charge different rates for different age groups. If you choose a winter ski resort, check for package deals including lift tickets, poles, beginner skis, boots, etc. Pick the right season, pre-Christmas can be cheap; Christmas through New Year is very expensive. January is considered as low season, February and March are pretty expensive. Many ski resorts offer accommodation over the ski slopes itself. These accommodations usually have ski-in and ski-out options so that people can ski up to the doorstep of their respective accommodations. Winter ski resorts also offer sports activities like sledding, ice-skating, dog sledding, indoor outdoor swimming, snowmobiling, etc apart from skiing. Few ski resorts are equipped with entertainment activities like cinema halls, cabarets, theater and clubs. Aspen, Colorado: Aspen is a perfect ski resort for a ski vacation. You can find numerous accommodations ranging from economical to super deluxe. Aspen skiing vacations are affordable when compared to other skiing vacations. Snowmass, Colorado: Never-ending terrain and plenty of snow make Snowmass a great skiing resort. Deer valley, Utah: A world-renowned ski resort, Deer valley is popular one of the most convenient ski resorts. Breckenridge, Colorado: A perfect ski resort for the family, the slopes here are considered versatile. Park City, Utah: The 2002 Olympics threw limelight on this ski resort. Numerous restaurants, lodges and clubs line this resort. This place is also popular as the `snow capitol`. Whistler Blackcomb, British Columbia: The 2010 Paralympics winter games will be held in this ski resort. 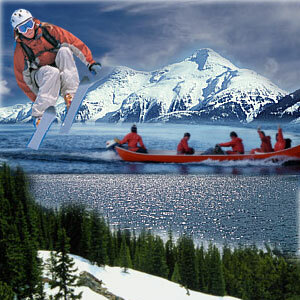 Skiers have a huge area to explore and have the best of accommodation, hotels and spas. Beaver Creek, Colorado: One of the most picturesque areas of Colorado, Beaver Creek enjoys sunshine for almost 300 days in a year. Vail, Colorado: It is the biggest single ski mountain in Colorado and is referred to as the skier`s paradise. Telluride, Colorado: Friendly people, beautiful and historic downtown, the slopes of Telluride are a wonderful place to ski. Gondola is the only means of transportation between the town and the slopes. Steamboat springs, Colorado: This place is famous as the `ski town USA`, and many Olympic athletes ski on these slopes. Though the ski resort is nearly 100 years old, it has all modern amenities. First Published Date: 18 Nov 2008 Last modified Date: April 25 2019 This page may have been updated recently as new information is available or the content may have been edited for better readability.